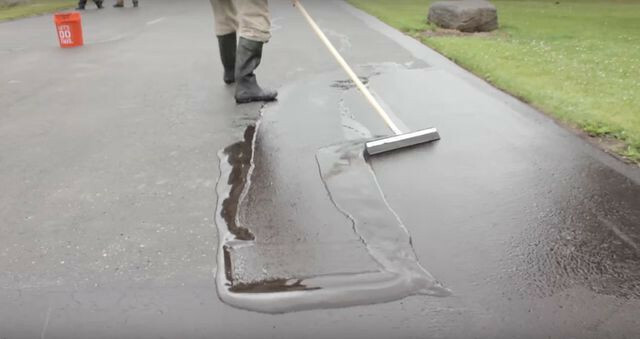 Knowing how to reseal a driveway will undoubtedly pump up your home’s curb appeal. After rough weather wreaks havoc on your property, major wear and tear will show in unsightly cracks and potholes. Luckily, there’s an easy fix that you can tackle with your own two hands. A new coat of asphalt will help extend the life of your driveway while also making it look shiny and new. If you’re up for the task, look no further than this step-by-step guide—we’ll walk you through every part of the process! Trust us when we say that this process is so simple that just about anyone can handle it, no prior DIY experience required. Before you start, check the weather forecast to make sure the temperature will be above 60 degrees Fahrenheit with no rain at all for a least a week. Unfortunately, if it rains heavily during your project, you’ll have to start again. Weed-whack the edges of your driveway and in between any cracks. Start by using a weed whacker to trim any grass that’s growing over the border of your driveway. While you’re at it, if you see any grass or weeds growing up from existing cracks in the driveway, you’ll want to tackle those areas, as well. Blow any loose debris off the driveway. Use a leaf blower to carefully blow any grass clippings or loose dirt off the driveway’s surface. 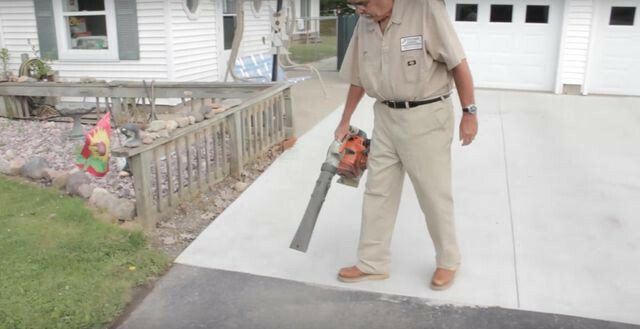 Power-wash the driveway to ensure it’s free of dirt. Working in a back-and-forth motion, power-wash the entire surface of the driveway to get rid of any lingering debris. Allow it to dry completely. 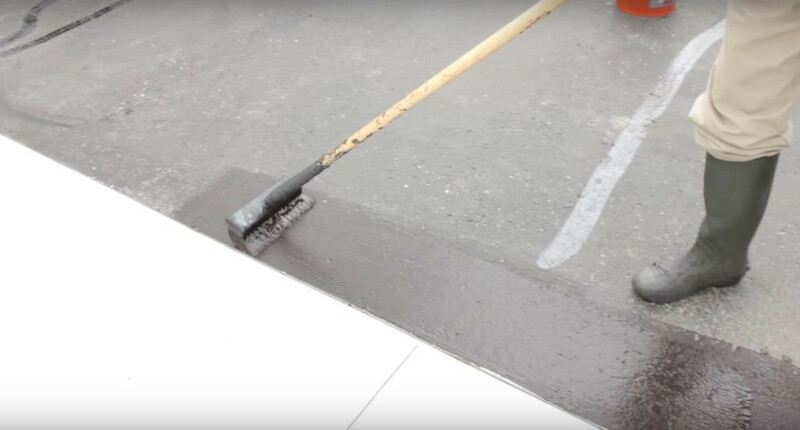 The sealant won’t be able to properly bond to your driveway if there’s still a top layer of moisture or dirt present, according to Jane Wilson of the DIY blog Modern Housewives. She recommends letting the driveway dry out for 48 hours. If necessary, power-wash the driveway a second time to ensure that the surface is completely clear. 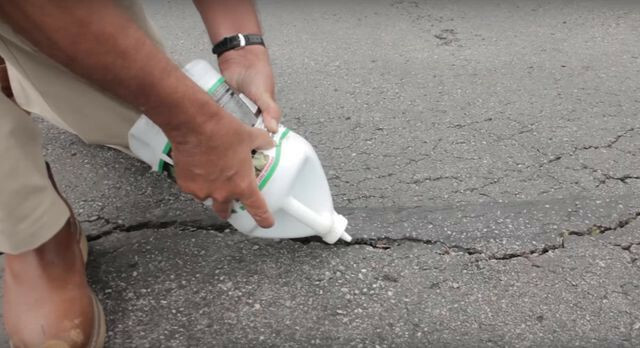 Use crack filler to seal any potholes or large cracks. After you’ve cleaned the surface of your driveway, put on those rubber boots and get ready to get a little messy. It’s time to start the sealing process. Fill in any large cracks or potholes with crack filler. 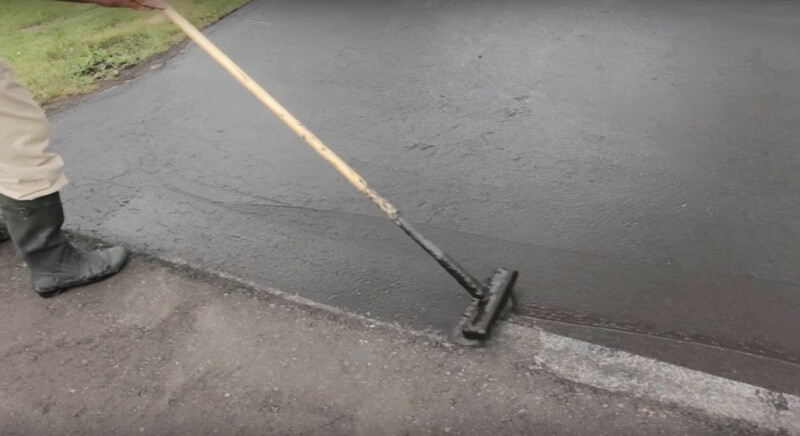 To give you a visual guide of where to stop spreading the asphalt, use the long-handle, soft-bristle brush to push the wet asphalt along the sides of the driveway, as well as the bottom, where it meets the garage (if you have one). 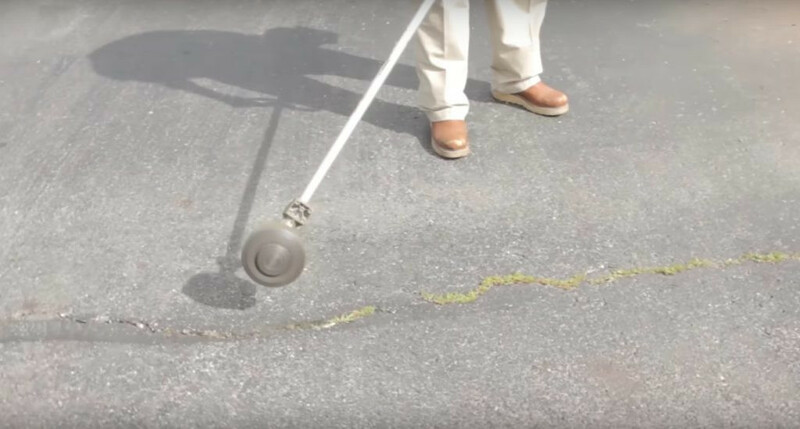 This will give you a visual guide of where to stop spreading the asphalt as you coat the rest of the driveway, so the asphalt doesn’t stain any other surfaces. Work the brush in a push-pull motion to make sure these areas are coated in an even layer of asphalt, and take care to make sure that it doesn’t spread onto the grass or your garage floor. Carefully outline the edges of the driveway with the long-handle, soft-bristle brush. Apply the asphalt sealant in sections. Once you’ve created a border along the top and sides of your driveway, fill in the rest of the driveway with an even layer of asphalt. It dries quickly, so it’s best to work in sections of 2 to 3 gallons of the sealant at a time. Work the squeegee in a push-pull motion to evenly distribute the asphalt. 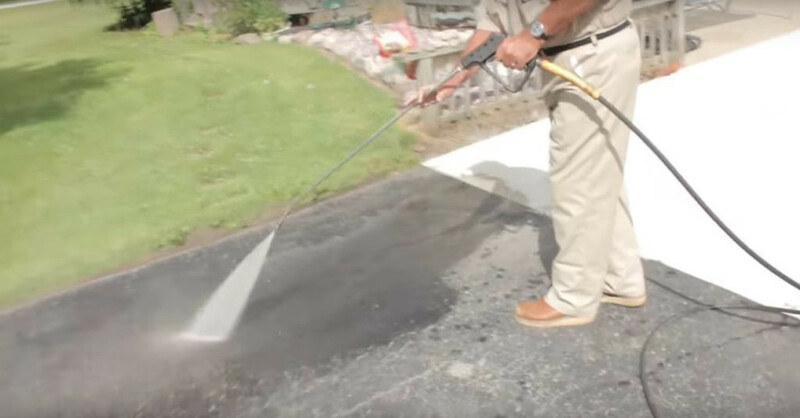 Make sure to go over each section multiple times; you want to be certain the entire driveway surface is evenly coated with asphalt and that any noticeable cracks have been filled in. Finish the end of your driveway with the bristle brush. When you’ve reached the end of the driveway, break out the bristle brush again. Here, you’ll want to create another border line where the top of your driveway meets the sidewalk. Again, you’ll want to use a push-pull motion to make sure that the asphalt coats the area evenly. You’ll also want to keep any excess from spilling onto the pavement. After you’re done, refrain from walking on the driveway for the next few days so the asphalt can set.